Just bought the app and a featured recipe (w/picture) showed a Chocolate Brownie recipe. Hard to believe that a ‘health’ oriented app has a recipe with 1 cup of sugar in it. Appalling! Looks like I’ll need to dissect every recipe now. 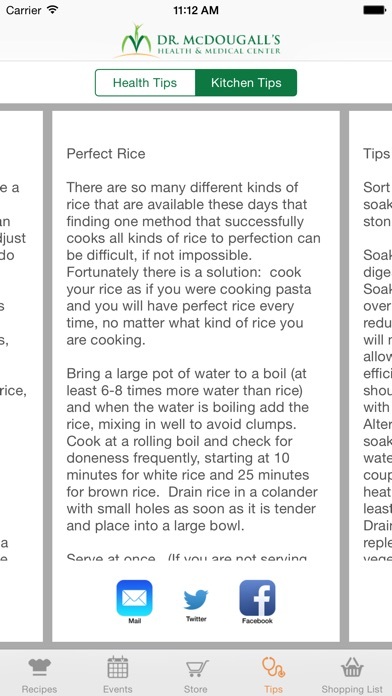 I love this cookbook app. The recipes are easy to follow and the results are great. In fact, this is the best plant based cookbook I have. My husband is not committed to a totally plant based diet as I am but he loves these dishes. It could benefit with more pictures. The recipes are well done. Starches are very satisfying food. I was skeptical of the Starch Revolution but agreed to try for just one week. Can i do this???? Oh me oh my to my surprise i lost 5.5 lbs and blood sugars coming down! I love soups, potatoes and this program was a neat fit. Im hooked. Recipes were wonderful. Program is wonderful. Its making me healthy once again. I don't have a phone. I have an iPod touch. It would be neat if one could access the shopping lists without having to be connected to wifi! This is a treasure of a app! Lots of great information well organized, thank you so much! This is so handy! Since I almost always have my phone with me, I can use the recipes while I'm traveling or at friend's or family's. Also, I can check the ingredients when I'm at the grocery store to make sure I have everything I need. The recipes are easy and practical. I've made many of them and even my teenage sons like them. Mary makes things easy like suggesting frozen vegetables so you don't have to spent hours prepping everything. This is the way we eat in our house now. I've gotten rid of my allergies and arthritis so I'll never go back to eating the standard American crap. Good collection, app could be better. Great collection of recipes but some are duplicates (ceasar dressing). Application could have a "search by ingredient" function, pictures, plus my biggest problem with WFPB media is lack of budget recipes, which would work wonders for beginners who aren't equipped with exotic ingredients or kitchen gadgets. Poor people desperately need to eat better but get turned off by hard to pronounce grains and spices that are also hard to come by in many neigborhoods, not to mention the words tofu and kale send some of them into convulsions. For them, recipes should be as easy as PB&J and just as tasty as the pantry intensive combinations. Stop excluding poor people. Great app for McDougall fans! 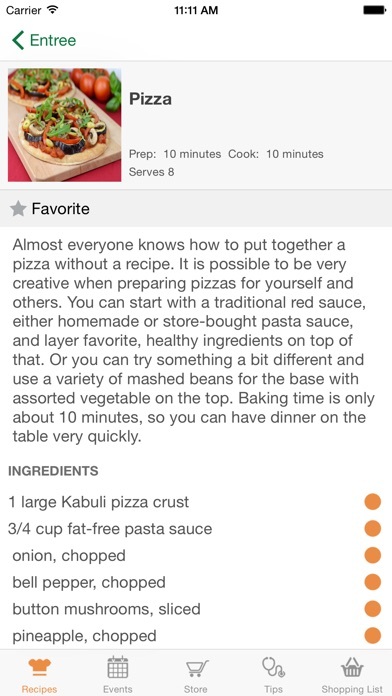 This app has many great recipes bundled up with it. Easy to search, easy to select, and the grocery list is prepared for you. My favorite of the recipe apps that I have on my phone! The recipes are fine but the app design is definitely not $5 quality. It feels like I'm using an app on an iphone 4. Have loved McDougall's App ever since I found this it a couple years ago. The upgraded App makes finding recipes more fun--love the pictures! And still love the App for easy accessibility at my finger tips! This app gives me recipes to use daily. I love marking my favorites to make it easy to find them when I need them. I have nothing bad to say. Healthy vegan recipes, it's so handy!!! Great recipes that are relatively easy to make. Just be careful on the Chipotle Sauce.. That joker will light you up 😂 The shopping list is my favorite part. It kept me from making too many shelf grabs that kept my grocery bill down as I knew how many meals I was actually getting out of it. I picked 5-6 recipes that lasted me a week and a half! A must in our path to health. Dr. McDougall's plan and his wife's recipes make the Healthiest Diet on Earth a possibility for everyone. Night before thanksgiving and no ingredients on any recipes that will show! So sad for me. I won't be able to do something special for the only vegan in the house. Easy to use- Has lots of good recipes. Every recipe should have a share button so that good recipes can be sent to a friend via text, email etc. Also, integration with the Apple notes app or reminder app would be great for the shopping list feature. The new design is great! I love the featured recipe section. The new section with kitchen tips has great tips for preparing foods that are in a lot of the recipes. I can't wait to find recipes for my upcoming holiday menu! I look forward to making healthy and tasty food with this app! In the recipes that have sauces, there is not a break in the ingredients list to tell what goes into the sauce. Alternatively, the directions could list them and that would help too. Nothing works; five dollars, really? There are no ingredients listed on the recipes that do show up, and when you go to a category it never loads. Was looking forward to this and am very disappointed. If you are on a no salt/oil/sugar diet this app makes meal planning easy. The recipes included are, McDougall's, Cathy Fisher, Nixon, and many current successful chefs. I don't have to spend time digging thru several books or web sites. The grocery listing is very helpful. I would like to see an option to add my own notes to the recipes, and a weekly planner, where I could write my plans. The only thing different between the app and the website is the shopping list! Save your money, this isn't worth purchasing. 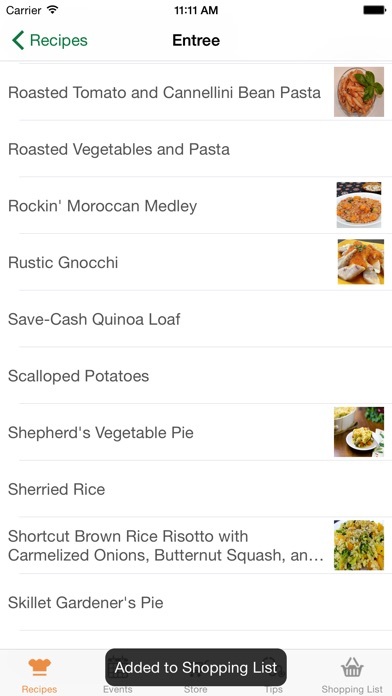 The same recipes are on the website, the app allows you to select a recipe then mark ingredients for a shopping list. It doesn't list recipes you select, unless you write the name down you can't keep track of what you select as far as a recipe goes. It doesn't seem to keep a running list, if three recipes call for one onion, the shopping list only shows one onion. Far simpler to use the web site for recipes and pen and paper for meal planning and shopping list. Excellent book and recipes. Too much nuts for my heart struck diet so I simply modify the recipe. This app works great. So handy to be able to search for an ingredient and have so many options! I downloaded this app after I read one of Dr. McDougall's early books but before I started the McDougall program. This way of eating is very different from what I was used to and this app helps me by providing lots of recipes and the ability to quickly generate a shopping list. 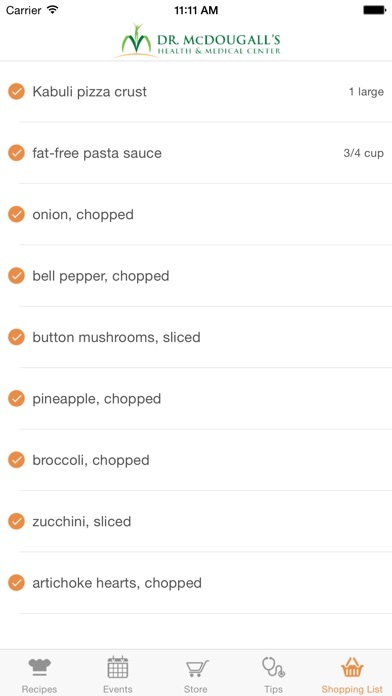 All of the recipes I have tried have been delicious, and I am enjoying meal-planning with this app. This cookbook is a great resource, but I havent been able to use it much. A 'search by ingredient' feature would make the app much more useful. This is a good app lots of recipes but they need to add a print function so you can add your favorites to your own personal cookbook. 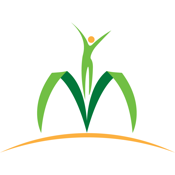 John & Mary McDougall are pioneers in the field of nutrition. This book has loads of valuable nutrition and great, healthy recipes. I highly recommend it. This is a great app and absolutely no shortage of recipes for any occasion. Totally worth the price and highly recommended. It's my go-to recipe app! Another stellar McDougall product that makes me salivate and be healthy, all at the tap of a screen. Easy to use, great recipes, 5 stars. This app has been very useful in helping ease the transition to plant-based eating. 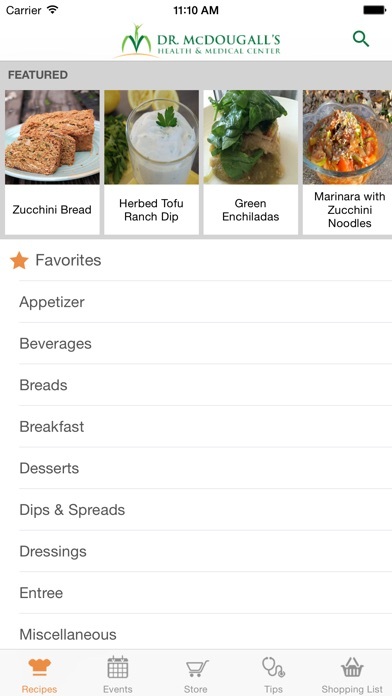 Great features and recipes, and I enjoy the favorites list and shopping list functionality. Both content and functionality are excellent. Perfect companion for those trying out and already established in a plant based diet! This cookbook features the vegan, low-fat recipes that are very helpful to those of us who want to improve our health and lose weight. If you’re a baker go with your instinct. Some of the measurements are off. When I emailed them and asked if recipes were tested as written on one of the oat muffin recipe their reply was “try another recipe”. It's a portable cookbook with lots tasty recipes in every category. Love being able to access the app with my phone when I'm not home, and use my tablet with the app in the kitchen when cooking. Love how you can create a shopping list from each recipe too. If you like their cookbooks and website you'll love the app. Love the recipes, but app has 2 huge flaws that harm the experience tremendously: 1) “Featured” segment has been empty for past 6 weeks or so (I’ve tried updating as well as deleting & reloading app without success) 2) App needs more photos & capacity to make photos larger.